July 23, 2012 - Glasair Aviation a leading manufacturer of general aviation kit-aircraft announced that it has been acquired by Jilin Hanxing Group a Chinese company. Glasair Aviation manufactures the very popular Glasair, Glastar and Sportsman lines of personal aircraft, having delivered approximately 3,000 planes which are being built and/or flown all over the world. Fang Tieji, Chairman of Jilin Hanxing Group said the company has formed Glasair Aviation USA LLC as the new operating entity for Glasair’s product lines and plans to invest substantially in Glasair’s existing product lines, starting with certifying the popular Sportsman design. In addition, the company plans to substantially grow Glasair Aviation USA by acquiring and consolidating additional airframe designs and other aviation related companies. Tieji said the company has no plans to relocate or terminate any existing Glasair Aviation employees and plans to retain Glasair’s U.S. headquarters, management team and employees. Glasair Aviation, LLC is an aircraft manufacturer based in Arlington, Washington that produces the Glasair and Sportsman 2+2 line of homebuilt aircraft. Tom Hamilton began flight testing the Glasair TD and founded Stoddard-Hamilton Aircraft in 1979. Glasair Aviation was formed in 2001 when Thomas W. Wathen purchased the Glasair assets from bankrupt Stoddard-Hamilton Aircraft, Inc. and signed an agreement with Arlington Aircraft Development, Inc. (AADI) to buy all rights to and assets of the GlaStar model. 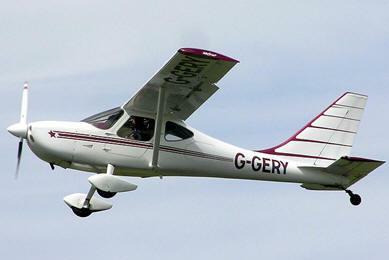 The new companies New Glasair, LLC and New GlaStar, LLC are marketed under the Glasair Aviation name. More than 3000 Glasair kits have been delivered worldwide. Jilin Hanxing Group Company is made up of a number subsidiary companies such as Hanxing Real Estate, Zi Guangyuan Hotel, Jilin Ruifu Auto Group, Hanxing International Trade, Hanxing Gas Vehicle, Hanxing Property, Hanxing Advertisement, Hanxing Decoration, Hanxing Constructional Material, Beijing Century Home, Hainan Hanxing Industry, etc.